Monster Pop Raiders for the WIN! This weekend, members of our Zieggy Tribe (who refer to themselves as the Monster Pop Raiders) will hop on a dragon boat and paddle for a good cause. 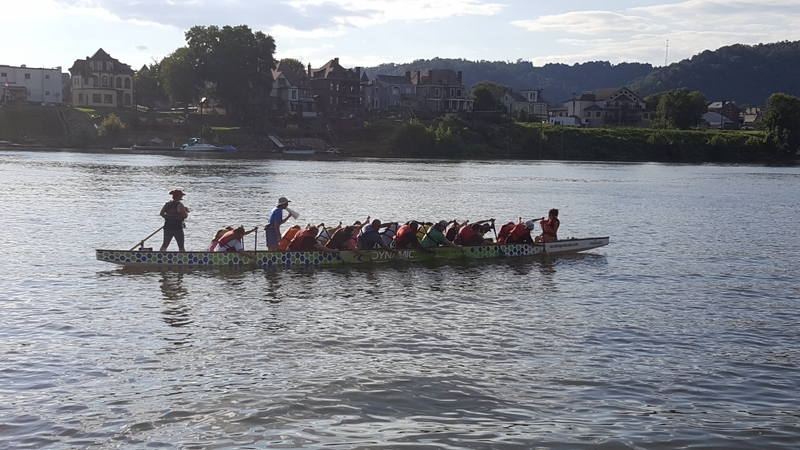 All funds raised from the Dragon Boat Race will go to support services provided by the King’s Daughters Child Care Center in Wheeling, West Virginia. This non-profit agency provides quality child care services that are affordable to families at all income levels. That’s why our Tribe acknowledges we have already won this competition by helping the people would work hard for the King’s Daughters Child Care Center. Even so, our tribe is doing everything we can to prep. 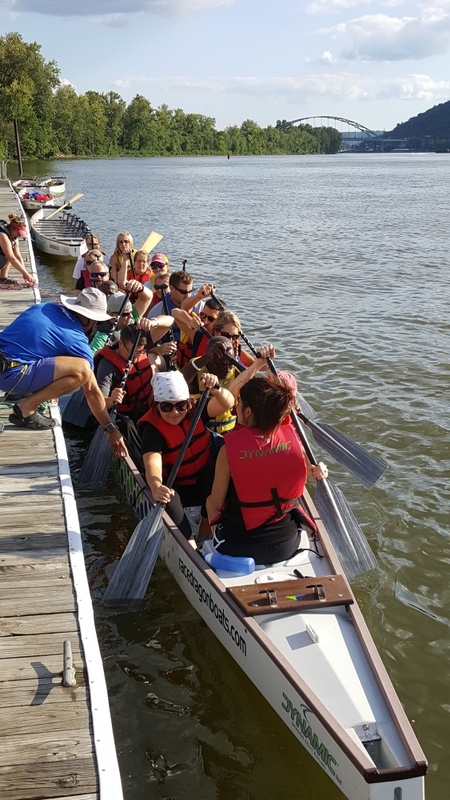 Practice paddling sessions result in lots of tips that our tribe will use to efficiently get the dragon boat to the finish line. Here’s what our tribe is trying to follow Saturday, August 26. 1. Keep the paddle vertical with the water and as close to the side of the boat as possible. 2. Look forward while paddling to make sure your stroke is in time with your tribe members. 3. Reach forward using your full body to ensure you get to use the full strength of each stroke. Then exit the water as your paddle blade reaches mid-thigh. If you pull your paddle back too far, you will create drag. 4. Make sure you rotate your body properly to achieve that full reach forward with your whole body. 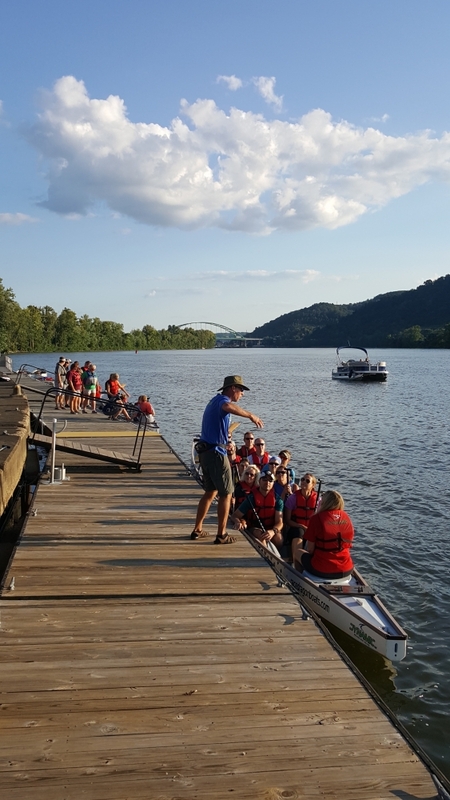 A big thank you to the organizers of the Wheeling Dragon Boat Race for providing time to practice. We’re grateful for all the helpful tips to make the most of this tribe-building experience. You can cheer for the Monster Pop Raiders on Saturday at Heritage Port. Opening ceremonies start at 8 a.m. with the first race at 9 a.m.